I wonder. Like so many great Christmas carols this song calls us to reflection, to wonder about the deepest questions of life, questions you only think about as you wander out under the sky. Big questions. So where do we come from? And where are we going? And what does it all mean? Does God who is beyond our sight, see us? Is Jesus our Savior God’s Son? Has he really come among us? I wonder about this fallen world of ours. Why does death still seem so strong? Why were those innocent children slaughtered by Herod at his birth? And why do innocent children still die, I wonder today? And why in the end did he die such a death? This entry was posted in Religion and tagged Christmas, Christmas carols, I Wonder as I Wander, Jesus Christ, John Jacob Niles, Passionists on December 25, 2013 by vhoagland. I was just reading again a piece Pope Benedict XVI did for the Financial Times of London last Christmas, which I think shows the continuity of the church’s teaching from one recent pope to another. Pope Francis’ style may be different, but the message is the same. “The birth of Christ challenges us to reassess our priorities, our values, our very way of life. While Christmas is undoubtedly a time of great joy, it is also an occasion for deep reflection, even an examination of conscience. At the end of a year that has meant economic hardship for many, what can we learn from the humility, the poverty, the simplicity of the crib scene? “Christmas can be the time in which we learn to read the Gospel, to get to know Jesus not only as the Child in the manger, but as the one in whom we recognize God made Man. It is in the Gospel that Christians find inspiration for their daily lives and their involvement in worldly affairs – be it in the Houses of Parliament or the Stock Exchange. Christians shouldn’t shun the world; they should engage with it. But their involvement in politics and economics should transcend every form of ideology. “Christians fight poverty out of a recognition of the supreme dignity of every human being, created in God’s image and destined for eternal life. Christians work for more equitable sharing of the earth’s resources out of a belief that, as stewards of God’s creation, we have a duty to care for the weakest and most vulnerable. “Christians oppose greed and exploitation out of a conviction that generosity and selfless love, as taught and lived by Jesus of Nazareth, are the way that leads to fullness of life. “Christian belief in the transcendent destiny of every human being gives urgency to the task of promoting peace and justice for all. “Because these goals are shared by so many, much fruitful cooperation is possible between Christians and others. “Yet Christians render to Caesar only what belongs to Caesar, not what belongs to God. Christians have at times throughout history been unable to comply with demands made by Caesar. “In Italy, many crib scenes feature the ruins of ancient Roman buildings in the background. This shows that the birth of the child Jesus marks the end of the old order, the pagan world, in which Caesar’s claims went virtually unchallenged. This entry was posted in Religion and tagged Benedict XVI, Christmas, Francis, popes on December 22, 2013 by vhoagland. According to Luke’s gospel, you live when you believe and faith always sends you on a mission. After the angel announces the coming of Jesus in Nazareth and then leaves her, Mary’s not alone. The Spirit remains with her, and the Word of God dwells in her womb. 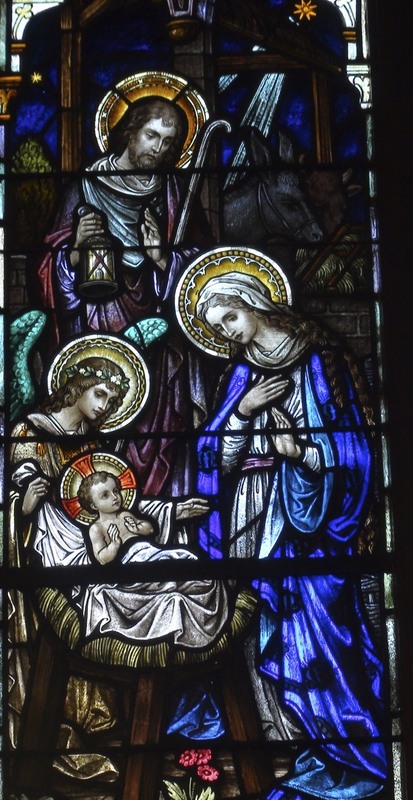 Unlike Zechariah struck dumb, Mary’s faith grows stronger. She does not lapse into silent darkness but seeks light. She sets out “in haste” for the hill country of Judea to visit Elizabeth, the wife of Zechariah, who also was with child. It’s not an ordinary visit. She hurries on because she’s filled with a sense of her mission. She hurries to Judea, where her relatives serve in the temple of God.One woman will speak to another. “Blessed are you who believed,” Elizabeth says to Mary. “You too, my people, are blessed,” comments St. Ambrose, “ you who have heard and who believe. Every soul that believes — that soul both conceives and gives birth to the Word of God and recognizes his works. 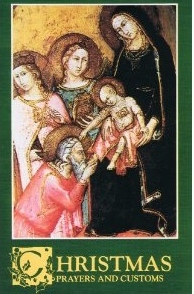 This entry was posted in Religion and tagged Elizabeth, John the Baptist, Mary, Nazareth, Passionists, Visitation on December 21, 2013 by vhoagland. Some visual meditations from the Metropolitan Museum in New York recently caught my eye. 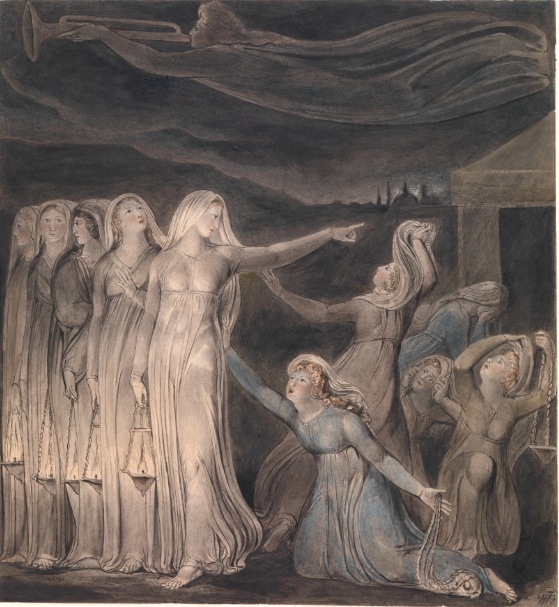 One of them “Be Prepared,” by Constance McPhee is based on a drawing of the Wise and Foolish Virgins by William Blake and seems made for Advent. You may want to take a look. So many visual presentations in the media today give a few seconds at most to something before they’re off to the next image. No time to linger over something. Guess that’s part of our hurry through life today. This entry was posted in Religion and tagged Advent, Be Prepared, Metropolitan Museum, William Blake, Wise and Foolish Virgins on December 12, 2013 by vhoagland. Sometimes the best view you get of the world is from above. Here’s a picture taken from a plane in the 1930s or so of the road up to Jerusalem from Jericho and the Jordan Valley. I add another from the ground of the road outside Jericho from more recent times. Both pictures tell us the road to Jerusalem is a climbing, winding road. It wasn’t easy to take when prophets like Isaiah and John the Baptist knew it. Of course today it’s easily managed by car or bus. But in those days, walking or on a donkey, you didn’t always know what to expect when you went through deserts and mountains and some fertile areas where crops were grown. Isaiah and John the Baptist knew this road very well and they used it to explain our way to God. First, it’s an image that says life will never be easy. On that road you’re going to get hungry, tired, even wonder whether you will make it or not. Unexpected things can happen: you may get robbed like the man did in the parable of the Good Samaritan. That happened on the road up from Jericho to Jerusalem, remember. You might be blind, like the two blind men from Jericho who couldn’t find their way. But if you want to get to Jerusalem and enter the house of God, you have to take that road. Jesus took it when he went up to the Holy City. He began in the wilderness. The message of Isaiah and John the Baptist, so beautifully expressed in our first reading for today (Isaiah 35,1-10), is that God will bring us there. This entry was posted in Religion and tagged Advent, Isaiah, Jerusalem, John the Baptist, Passionists, road of life, road to Jerusalem, Temple on December 8, 2013 by vhoagland. Keeping awake is one of the themes for Advent. 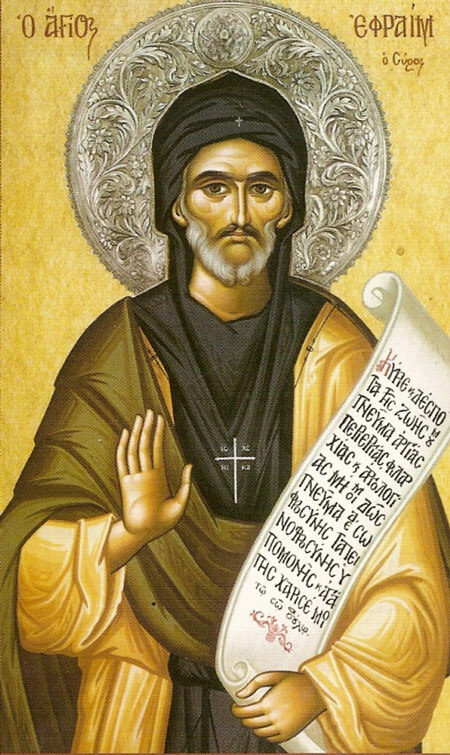 St. Ephrem the Syrian, a voice from the early 4th century, offers some insights into the sleep we need to fear. “To prevent his disciples from asking the time of his coming, Christ said: About that hour no one knows, neither the angels nor the Son. It is not for you to know times or moments. He has kept those things hidden so that we may keep watch.. This entry was posted in Religion and tagged Advent, lethargy, listlessness, melancholy, Passionists, sleep, St. Ephem the Syrian, timidity on December 5, 2013 by vhoagland. Advent’s here. Jesus is coming! He came over two thousand years ago in Bethlehem, of course, yet he will come again, at the end of time. We wait with a “blessed” hope, which means embracing a bigger, long-term vision to sustain and strengthen us as we go forward in life. It’s a hope that keeps dreams alive for something better for our world and ourselves. A blessed hope saves us from small-mindedness, from being dragged down by failure or swallowed up by a deadening present. It’s a hope based on God’s promise, not on our resources. Don’t rush into Christmas yet. First, put up an Advent wreath in your home to match the Advent wreath you see in church. 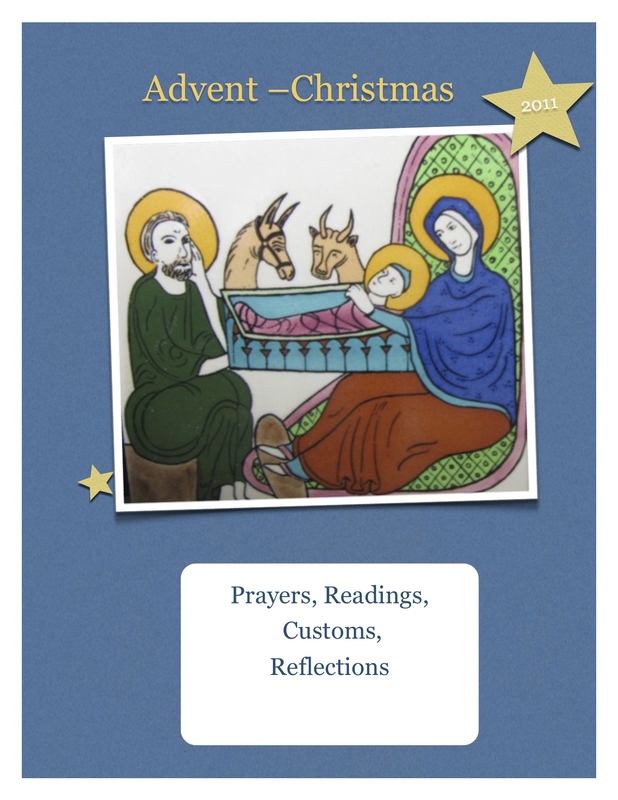 Then, take the next four weeks savoring the readings and prayers of Advent. I’ll put as many of them as I can on this blog in the coming weeks. And, in case you are looking for a handy little guide for the season, here’s one produced by the Passionists. This entry was posted in Religion on December 1, 2013 by vhoagland.